One of my most important duties as your state Senator is keeping the lines of communications open with community residents. Electronic newsletter updates enable me to provide information about issues in Harrisburg and in local communities in a timely manner without the need for postage costs. This edition features information on what is happening on a number of bills in Harrisburg, including measures I introduced to improve school safety, generate funding for pediatric cancer research, and fix expensive flaws in the current property tax collection system. If you find this information to be useful, I invite you to visit my website at www.senatorscottmartinpa.com. Please feel free to contact me at my district office in Lancaster if I can assist you with any issue pertaining to state government. My contact information is available at the bottom of this page. After suffering through three consecutive years of political wrangling and billion-dollar deficits, Pennsylvanians finally saw a welcome change of pace this year with passage of a bipartisan 2018-19 budget plan that will not require any tax increases. I am very pleased that all sides were able to come together and support a plan that meets all of the core functions of state government while keeping the growth in state spending below the rate of inflation. The $32.7 billion spending plan is $270 million less than Governor Wolf’s budget proposal introduced in February. It added $100 million more for Basic Education, $25 million more for early childhood education and $15 million in new funding for special education, and it restored a number of the Governor’s proposed cuts to a number of critical programs, including line items for the Department of Agriculture. An additional $60 million was also added to improve school security. More information on the 2018-19 budget is available here. School shooting incidents across the country have heightened the need to provide new resources to prevent similar tragedies from happening in Pennsylvania. I was proud to be a prime sponsor on bipartisan legislation that was signed into law last week that will help improve student safety. The new law creates a grant program to deliver $60 million in new funding for a wide variety of school safety initiatives, including hiring security staff and counselors, training existing staff, purchasing security equipment, creating violence prevention programs and taking other actions to prevent school violence. A new anonymous school threat reporting system will also be created. The new Safe2Say program, which is patterned after a similar program that was implemented in Colorado following the Columbine shooting, would allow students, teachers, school employees and members of the community to anonymously report any threats against our schools. The Attorney General’s office would be responsible for making sure the information is distributed to schools and local law enforcement for investigation. More information on the landmark school safety bill is available here. Pediatric cancer is the leading cause of death by disease among children nationwide. I was proud to author a new law that will help generate more money to support pediatric cancer research. The new law will allow Pennsylvanians to voluntarily donate $5 to the Pediatric Cancer Research Fund when electronically renewing a driver’s license, photo identification card or vehicle registration. The funding would be used exclusively for research approved by the Pennsylvania Cancer Control, Prevention and Research Advisory Board. More information about this law is available here. Schools and municipalities in our area have experienced a number of problems in recent years resulting from a small number of elected tax collectors who failed to perform the duties that the job demands. The Senate Local Government Committee recently approved a bill I introduced that would give some counties, municipalities and school districts more options to collect property taxes and avoid similar problems in the future. Senate Bill 1099 would allow a number of schools and municipalities to utilize the most cost-effective means of collecting property taxes, including allowing the county Treasurer to collect taxes on their behalf. The bill would not mandate the elimination of the position of tax collector; it would only give governing bodies the option to eliminate the job if they believe they can collect property taxes more efficiently. The Pennsylvania Milk Marketing Board plays a critical role in the dairy industry, which is an important part of our local and statewide economies. The Senate recently confirmed two new nominees to this important body – including one nominee from Lancaster County. Congratulations to Lancaster County’s own Rob Barley for earning this tremendous honor and for being selected as Chairman of the Milk Marketing Board by the Governor. I had the pleasure of welcoming a number of championship teams and athletes from local schools during their visits to the Capitol Building in Harrisburg. Congratulations go out to all of these local athletes for their incredible success! 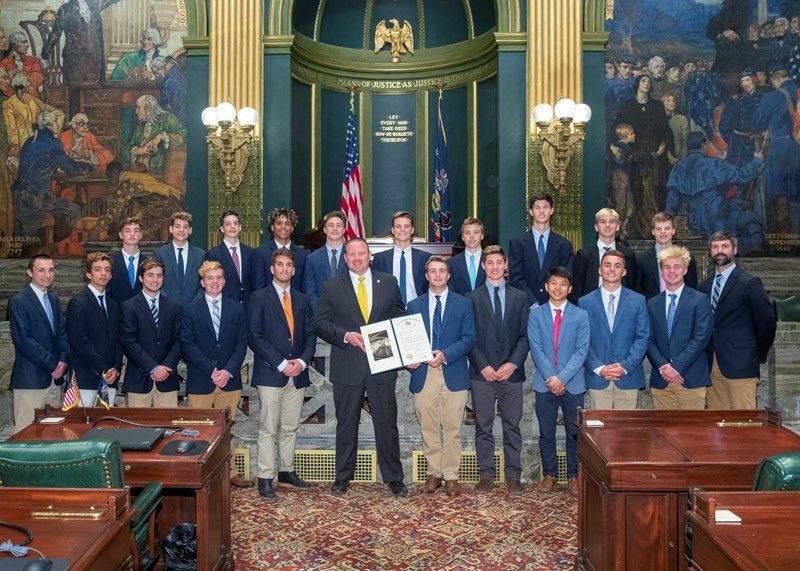 The Manheim Township Boys’ Lacrosse Team visited the Capitol after winning the 2018 PIAA Division 3A State Championship title. I also had a chance to congratulate the Penn Manor Boys’ Bowling team after they captured their third straight state title. 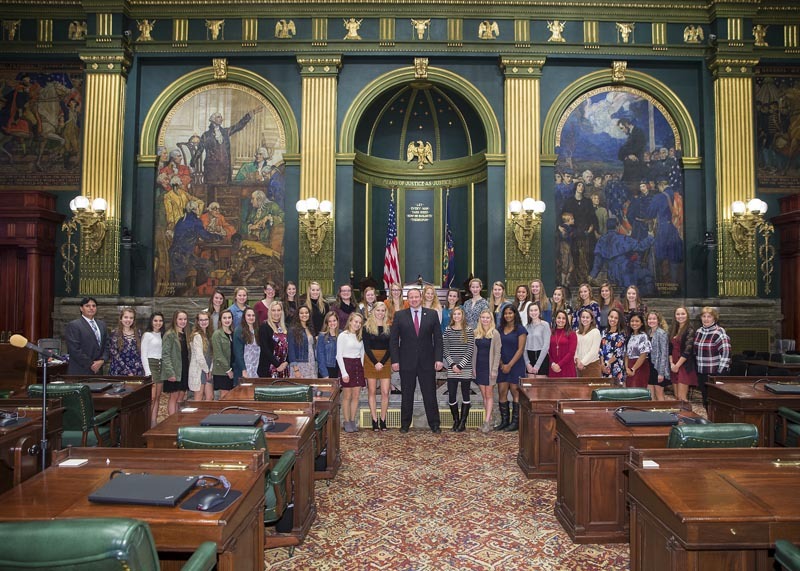 The Penn Manor High School Girls’ Field Hockey Team was recognized on the Senate Floor after winning the PIAA Class 3A state championship, in addition to a national championship. 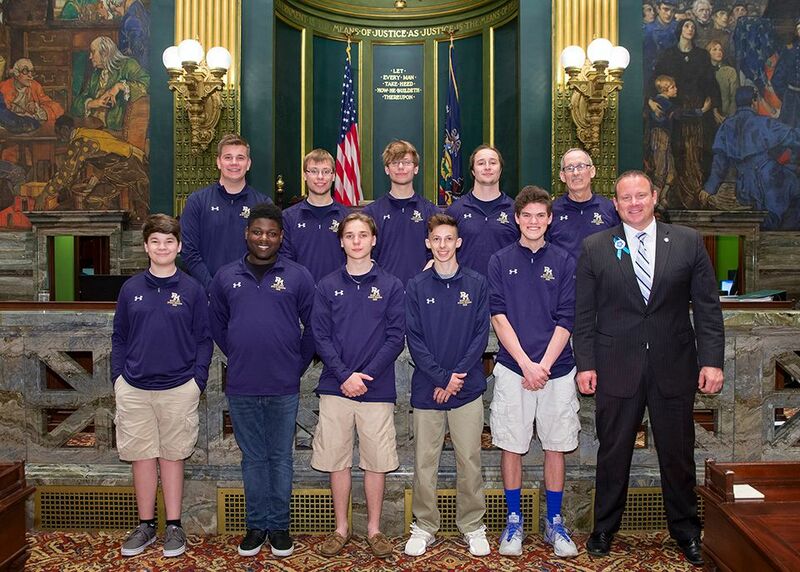 Although they have not yet visited the Capitol, congratulations also go out to the Lampeter-Strasburg Softball Team for capturing the PIAA 5A championship last month, as well as the Lancaster Catholic Lancaster Girls’ Basketball Team and the Boys’ Baseball Team, each of whom claimed state titles this year. We are proud of you!